We are a leader in Vinyl Bag Imports in the United States. We have a large variety of in stock bags to fit your needs as well as the full capability of creating a custom bag to fit your exact needs. We ship both stock and custom designed packaging bags directly from our New Jersey warehouse. Our customers are located all around the globe. While we serve all industries, packaging bags for the home furnishing trade and the cosmetic industry are our specialty. We welcome customer requests for help in designing bags that will satisfy unique requirements. Se habla Español. 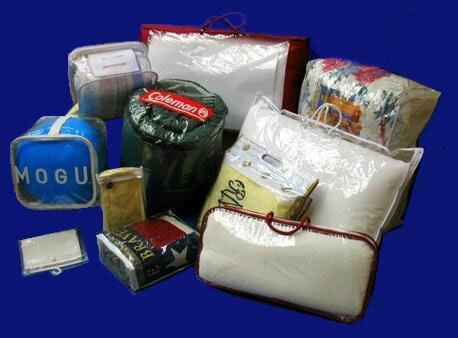 We maintain an extensive inventory of stock size packaging bags in our New Jersey warehouse. In addition, bags can be designed to your specifications. Bags can be made from PVC or any other material or combinations of materials. 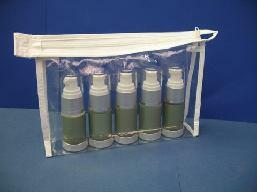 Bags can be sewn or heatsealed and can include a variety of closures, handles and hangers. Our vinyl meets EN71 and Coneg standards and has minimal trace amounts of phthalates. Phthalate free PVC is available. Eco Friendly Packaging Bags can be made from combinations of phthalate free PVC, PEVA, non-woven polypropylene, woven cotton-poly, woven cotton and woven hemp (jute). 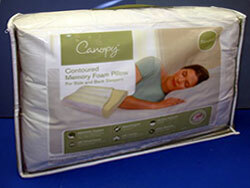 Rayon embroidery can display customer information on opaque bags. MPE and nonwoven polypropylene with 6 color eco friendly process printing. 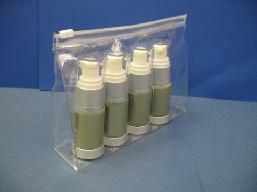 Cosmetic Packaging Bags can be made in many styles and combinations. Closures could be with zippers, snaps, drawstrings or heatsealed pvc zippers. 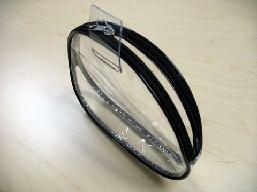 These could be combined with rope handles, hang loops, patch handles or large die cut handles. Some typical designs are shown above and below. Custom logos can be printed or embroidered. Ask us for quotations and samples made to your specs.